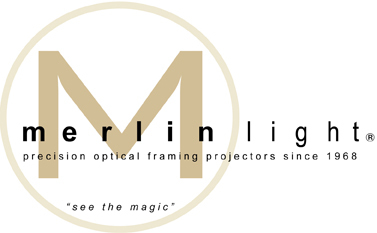 The MerlinLight® is the finest museum quality Art Lighting Systems on the market today. These fully recessed and hidden specialized Art Projector Lights have been enhancing fine art collections World Wide for over 48 years. The MerlinLight® is the only approved recessed high performance Optical Projector Lighting systems carrying an Airtight & Insulated Ceiling (IC) rating. Our products are specified by leading Architects, Interior Designers, Lighting Designers and Custom Builders wanting to add the ultimate touch to their client’s investment art collections. We are the manufacturer and have certified technicians nationwide. Adaptive Design Group Inc. is the leading national Lighting Design, Lighting Controls and Electrical Engineering firm specializing in the Estate and Custom Home arena. Glenn Merlin Johnson as Principal and founder has been illuminating the world’s most exclusive homes for the past 35 years. Glenn is the Author of “The Art Of Illumination Residential Lighting Design” utilized in 22 University Course Studies and the Creator of The ADAPTIVE Method®, his methodical artistic lighting layering process. Glenn is also the recipient of 6 US Patents on specialty Lighting Systems including The MerlinLight®, The Vanity Light, The Vehicle Perimeter Lighting System. ADG Inc. provides its industry leading design and engineering processes to the who’s who in the Arts, Business, Entertainment and Technology world all over the US and some International as well. Our expertise is in teaming with the A-list Design Team including Architects, Interior Designers, Landscape Architects and providing on site construction management of our designs, final aim & tuning and lighting controls programming. Glenn Johnson joined SPS as a Principal in this small 12 person consulting engineering group in Salt Lake City Utah. 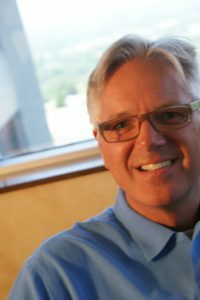 He was responsible for creating the Spectrum Lighting Design division specializing in Custom Residential Lighting Design, Lighting Controls Design and Electrical Engineering. He also assisted as a Managing Principal in his 10 year tenure to grow SPS into the inter-mountain west’s largest and most prolific Consulting Engineering Firm. His experience and collaboration with top industry engineers in electrical, acoustical and electronic systems allowed himself and Spectrum Lighting Design to become a national powerhouse with projects located from coast to coast. Founded Lighting By Design, Inc. in Los Angeles, CA. after securing a C-10 General Electrical Contracting License. LBD specialized in Lighting Design and Electrical Contracting. After 4 years into the business, the decision was made to drop the electrical contracting and focus exclusively on lighting design and engineering systems. LBD is responsible for designing some of the planets most exclusive homes in Beverly Hills, Bel Air and surrounding areas. Notable projects were for Aaron Spelling 56,000′ foot, La Belle Vie Residence 38,000′, Steven Spielberg, David Geffen (3 homes), Stewart & Lynda Resnick, Luther Vandross, Richard & Lili Zanuck, Richard Donner, Alan & Cindy Horn, etc. Completed Electrical Apprenticeship and became a Journeyman Electrician during this tenure. ALE was a pioneer in the Lighting Design and Electrical Contracting business based in San Rafael California. Under the direction of Merlin Johnson, they designed complex lighting systems for art and architecture in prominent San Francisco and surrounding area Residences. ALE specialized in retrofitting existing residence with artistic lighting.